Digital transformation may be more about you than about technology. Digital transformation, we hear about it every day. Searching on the term yields 58 million results. How might this tidal wave affect the careers of CIOs and technologists? Perhaps more importantly, what do CIOs and businesses want in future technologists? How might this affect your career? Preparing for the path forward is a significant part of my work. As a consultant and teacher, I deal with aspiring technologists and graduate students, executives and boards. These groups have diverging expectations of how to succeed in a digital economy. When the software industry was young, detailed specifications were the norm due to hardware and software limitations. Programs took hours to run, and computing power was expensive. That’s changed. We have experienced an estimated 1 trillion-fold increase in computing power over the past 60 years. This power is at everyone’s disposal. If everyone has this access, why is digital transformation so hard? To be sure, challenges such as budget limitations, changing technology and legacy systems need to be addressed. Perhaps the challenge also involves the nature of the work, and stakeholder expectations. How might the CIO’s expectation be different from that of a Python developer? If graduate students knew what the CEO wanted in future technologists, that information could be invaluable in shaping their education and goals. Technologists hope their skills drive their career success. They spend thousands of hours in study and work reinforcing this assumption. The techie’s dilemma is that the half-life of their skills is two years. That is, the technical skills they have obtained will be half as valuable or marketable in two years. Technology constantly changes. What is hot today may be a commodity tomorrow. Most executives and boards speak of the importance of business value. The definition of this term varies, but there is always a strong connection to the bottom line. Public companies are driven by shareholder expectations. Private companies are driven to minimize costs and maximize profits. Neither is content with status quo results. The linkage between technology and business value involves a unique human dynamic. People are involved, and each individual approaches work differently. Some excel in interpersonal interactions, while our Python developer may favor wrestling with code. As a consultant, how is my approach different and perhaps more valuable than that of an employee? Perhaps more importantly, what skills are future CIOs and technologists going to need, and how can we be ready? Perhaps there are clues in current trends. Over the past 15 years, the software landscape has evolved. Instead of delivering technology projects by writing down detailed specifications before constructing software, technologists and their business partners have found a better way. Agile approaches rely on customer-centric approaches to delivering software rapidly. The most popular of these, Scrum, relies on the pillars of transparency, ongoing inspection and adaptation of software under construction. Scrum delivers better business value by dramatically changing the way technology teams interact with software, and (perhaps most important) their customers. Lean software development applies Lean manufacturing practices to software problems, and is an emerging area of customer-centric Agile adoption. The trend towards Agile and Lean changes the way technologists interact with the business. It also points to something bigger. It is not just about technology. Business value is derived from interactions, analysis, understanding and business acumen embedded in technology teams. Businesses don’t want “just technologists.” They want people with depth in technology, critical thinking and interpersonal skills. This mix is referred to frequently as T-shaped skills. In my experience, these skills are responsible for more than half of the required skills companies look for in candidates. The other half involves technology skills. Ignoring their importance jeopardizes companies and careers. If T-shaped skills are what we want, how do we get there? How can companies change their tech teams and train them in the interpersonal skills and patterns consultants use to drive success? How can individual technologists acquire them? The need for these skills is not going away. Value creation depends on them, and on their wise use to solve complex business problems in the digital era. For companies and technologists that don’t want to get left behind, they are the way forward. What are you doing to acquire these skills, and drive value for the business you serve? That is a question for both companies and technologists. Asking it now is preferable to the alternative of being left behind in our digital economy. Matt McBride is the Chief Agilist and EVP of Digital Transformation at Genesis10. 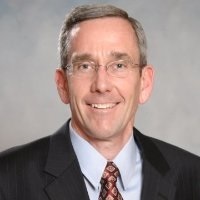 He is a former CIO, and is an adjunct professor teaching leadership, architecture, and cybersecurity in graduate programs at Southern Methodist University in Dallas. He speaks on agile and leadership topics nationwide, and is the author of Leadership Patterns for Software and Technology Professionals.